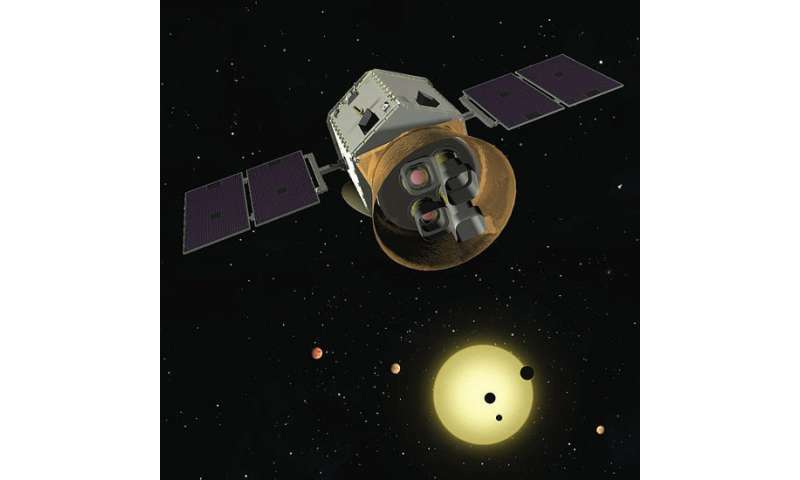 The Transiting Exoplanet Survey Satellite (TESS), launched on April 18, has as its core mission goal to discover small transiting exoplanets orbiting nearby bright stars, and to do so it will conduct a nearly all-sky photometric survey over the next two years. For 27.4 days at a time TESS will look at one region of the sky while its 64-million-pixel camera reads out once every 30 minutes in an effort to spot the slight dips in starlight that signal the transit of a planet across the face of a distant star. (Several hundred thousand of the pixels will read out in a two minute cadence to probe more closely high value targets.) At the end of 27.4 days TESS will point to another region of the sky and repeat. TESS, however, needs a source catalog of likely stars in order to know which stars in the field to observe. The highly successful exoplanet mission Kepler similarly had a stellar source catalog. The TESS Input Catalog (TIC) is used not only to select optimal targets, it also is designed to provide the properties of each of the stars, properties necessary for determining stellar radii (and hence planetary radii) and other key facts about the possible exoplanet system. Not least, every TESS pixel sees a relatively large area of the sky (twenty arcseconds on a side) in which multiple objects could fall, and the catalog therefore needs to target only luminous stars that are not known to vary. Finally, the catalog will be used for objects with which to test the system performance and look for any false positives. CfA astronomers Martin Paegert, Willie Torres, and Dave Latham, members of the large TESS consortium, joined with sixteen colleagues to produce the TESS Input Catalog; they also made a Candidate Target List that prioritizes stars according to the smallest transiting exoplanets detectable for which a 30 minute sampling time is not frequent enough. Their TIC has undergone six previous iterations, but with the launch of TESS the new seventh version is particularly valuable. The full TIC has 473 million sources, the vast majority of them point sources. It was compiled from existing near-infrared all-sky survey catalogs of stars, and then filtered using data from a variety of other sources like the new Gaia space mission. Since the goal of TESS is to discover small transiting exoplanets, the catalog emphasizes bright, cool dwarf stars around which it will be easier to spot smaller exoplanets. An analysis of the TIC population shows that some stellar types are under-represented, like K-dwarfs, and the authors discuss the origin and implications of these statistical features, as well as reviewing the distribution of stellar masses, temperatures, and possible stellar binaries. As TESS begins to announce new exoplanet discoveries, much of the success will be due to the careful catalog on which its observations are based.